I'm a little disoriented after sleeping 4 hours and waking up to catch the Royal Wedding LIVE. I was initially going to watch it later, but I could not contain myself! So there I was, at 2:30 am P.S.T. getting teary eyed as the Royals were on their way... I was blown away, it was like watching a fairy tale come to life. My mom was obsessed with Princess Diana and watched the Diana and Charles wedding live in 1981. She liked to joke around and say she was Princess Di's cousin because they both share a last name: Spencer! I remember exactly where we were when we found out she had passed away, we had just gotten home from Sea World and turned on the tv to the horrific news. I can't help but feel sadness when I think she couldn't be here to at least meet Kate. My dog is ready to watch!! I love Juicy Couture because they embraced the majestic crown. The necklace my BFF gave me. 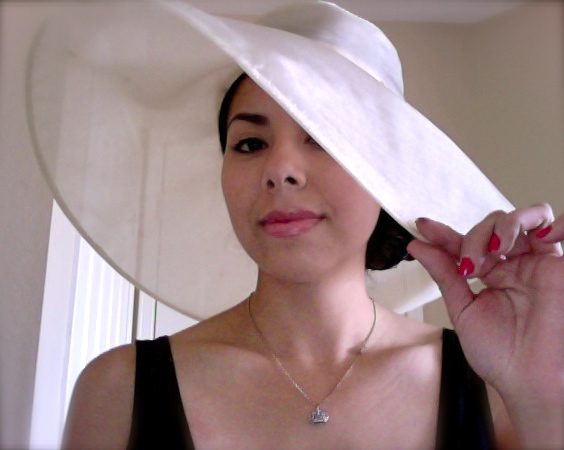 My Big Hat, that I wore for Opening Day at the Racetrack. 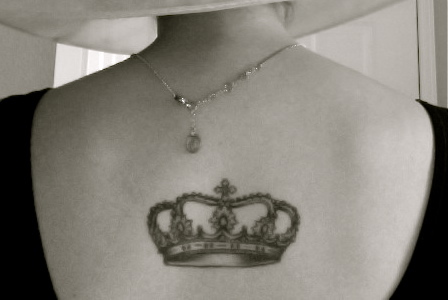 that is a royally amazing tatoo...i covered the royal wedding styles too!!! Wooooowwww...I like this tatoo..is very cool!!! Visit my blog,and if you like it, follow me!!! She was wearing a gorgeous dress. the royal wedding was very well organised as it was expected and kate looked so perfect and chic! i really loved her dress! What?! 2.30 am? That's so early! I also watched it, but her it was at noon. I loved her dress! Kate´s dress was just perfect!!!! Loved your tatoo, and your blog, so nice to discover you! royal wedding was fantastic. it was so romantic and beautiful! I'm glad that I saw it. Thank you! I would love to follow each other! So I'm now your follower! Thank you so much for being passed by my blog and for having decided to segiure me!!!!! I very happy!!! Too bad...I don't see your profile among others!!! Perhaps..the Internet has yet to update it! Sorry for my imperfect English!!! I follow you now..I'm glad to read your posts!!! It was so lovely to watch, made me even more proud to be British! cool blog :) nice tattoo!! I know exactly what you mean - it was like a fairytale book leapt off the pages and into Westminster Abbey! She looked beautiful and you can tell that their love is way more than deep than their titles. Love them together! oh yeeees I love her dress !!! kate looked as a true princess in Sarah Burton's creation! I loved her dress and pippa's too! they both looked stunning! William is a lucky basterdd haha:) And your tattoo is AMAZING!! i love it! I loved Diana so much like your mum. I remember crying all day when she died and still can' t beleive. I am following you!!! Hope you follow me back now! 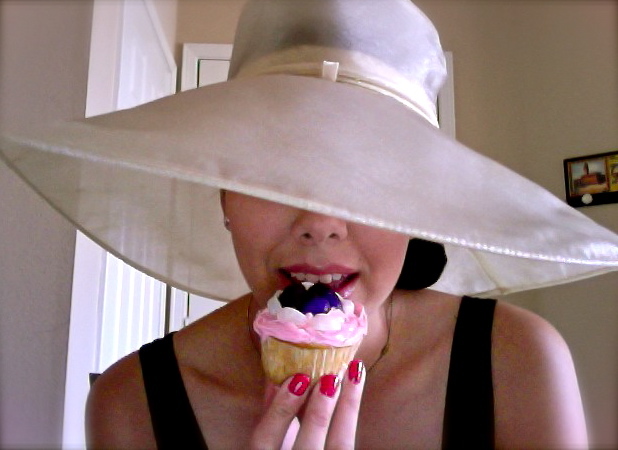 great blog !! what an amzing wedding it was .. Your hat is fantastic! I also love your tattoo! Hey by the way, do you live in London maybe? Very unique ink, I like. I love that you got all dressed up with a hat and everything lol. You are too cute.